The city of New Bedford did just that eighty years later. On July 4, 1866 bands played, the New Bedford Light Artillery fired their guns in salute, songs were sung by the Choir of Misses, the Declaration of Independence was read and the cornerstone of a monument was dedicated. James Bunker Congdon gave a speech that day in which he called the ground on which the monument would stand, “holy ground”. The monument was the Soldiers and Sailors Monument located in present day Clasky Common Park. In 1866, it was refereed to simply as the Common. The monument was designed by architect George Frederick Meacham, who is known for his design of Boston’s Public Garden and many other works including the Soldiers and Sailors Monument he would build in Fairhaven two years later. “They are dead,” he clarified and then stated that he hoped “peace, independence and liberty” would last forever. In the afternoon, the mood lightened and just as John Adams predicted, games were played. Earlier that year the Wamsutta Base Ball Club was organized. The club included members such as Charles W. Clifford who had played for the Bay State Base Ball Club and Otis Pierce who had played for the Ironsides Base Ball Club, just two of the many baseball clubs that played in New Bedford before the Civil War. In the summer of 1866, competition from other teams was scarce. Though there had been several clubs playing in and around New Bedford before the war, it is likely that the war brought ball playing to a stop as many young men went off to war. So the newly formed Wamsutta club played a game between members of its own club. A common practice at the time, clubs would typically play informal games among themselves and more serious “match games” against other clubs. Since this game was purely for fun and amusement, the Wamsutta club divided itself in to two teams, single men vs. married men and it would seem that everyone on the club would get to play… at the same time since the usual baseball rules would not apply. Both teams seemed to have fielded 18 players per side with multiple players playing each of the outfield corner positions. 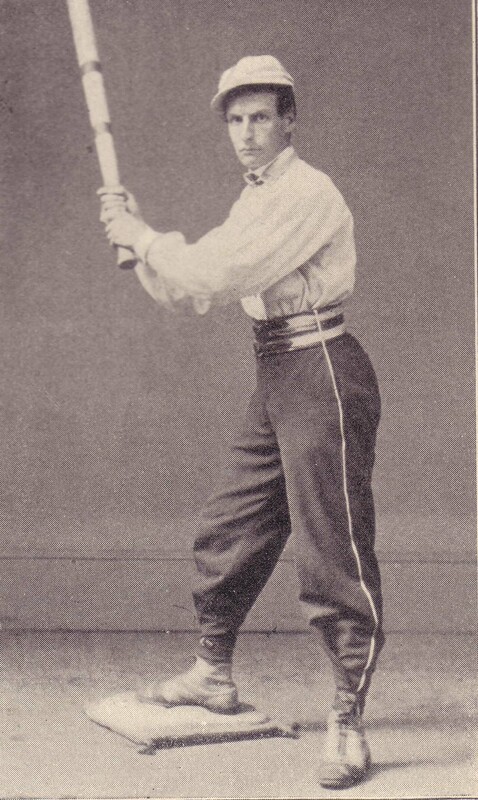 The single men had three right fielders and four left fielders as Preserved Bullock and Thomas Knowles split time as the third left fielder, playing 6 and 3 innings respectively. The married men did the same with William A. Church and W. C. Taber, Jr. splitting time as the third right fielder. The team captains, Otis Pierce for the single men and Savillion Van Campen for the married men apparently didn’t play in the field but batted lead off for their teams. A sort of early use of a designated hitter; batting but not fielding. This may not have been the first time the Wamsutta club played. The Republican Standard noted that based on “previous play” it was thought that the single men would win by 25 runs. The single men did win the game by a score of 56 to 46. Rachel Howland. Courtesy the New Bedford Whaling Museum. Among the attendees of the festivities that day on the common were 122 grammar boys who were there to inaugurate the organization they had started, the Howland Grammar School Association named after their strongest supporter, Rachel Howland. The purpose of forming the society was for “the prevention of profanity and vulgarity”. Several weeks later they would start their own baseball club called the Acushnet Base Ball Club, most likely because they were inspired by the game they had watched that day. Unfortunately, news accounts did not give many details about that 4th of July game but apparently it had made an impact on more than just the grammar school boys. Two weeks later the Republican Standard noted the establishment of a number of clubs; the Star Club who would play on a open field on Hawthorne Street and the Young America Club and New England Club who would play on the common. Many more clubs would be formed that year and the years to come beginning a golden age of baseball in New Bedford. One hundred forty years ago this week the Wamsutta Base Ball Club took on the mighty Lowell Club of Boston. The Lowell Club was one of the more talented baseball clubs in the area during that time. It was formed in 1861 by students of various Boston secondary schools at the suggestion of John A. Lowell and the Bowdoin Base Ball Club to play the New York game. The New York game was played in New England but it was facing competition from the Massachusetts game. In honor of Mr. Lowell, the club was named after him. The Tri-Mountain Base Ball Club is widely considered to be the first club in New England formed to play the New York game. Formed in 1857, they didn’t play their first match against another club until early September of 1858 when they beat a club from Portland Maine. It remains a mystery as to why the Tri-Mountain club did not play the Ironsides Club of New Bedford which had been formed to play the New York game at that time. The Lowell club quickly established their talent by winning their first game against Medford 17-10. Lowell played its second match in May of 1863 against the established Tri-Mountain club. Lowell won 37-1. In 1866 the Lowell club’s first nine would win every match they played. In 1868 the Lowell Base Ball Club set out on tour of New England cities in an effort to reach out and be “neighborly”. While the tour lasted only during the month of June the Lowell club made a trip to New Bedford in August where they faced the Wamsutta club. The game lasted 3 hours and 25 minutes. It was painful 3 hours in 25 minutes for the Wamsuttas losing to the Lowells 62-6 in 7 innings. 1st. 2d. 3d. 4th. 5th. 6th. 7th.